The autumn thunderstorm that struck on Saturday afternoon lingered throughout all of Southern Utah, teasing us with glimpses of warm sunshine between periods of lightning, curtains of cold rain, and violent winds. Fortunately when we left Castle Valley on Monday morning for Canyonlands National Park, there were only billows of fluffy clouds in the sky. 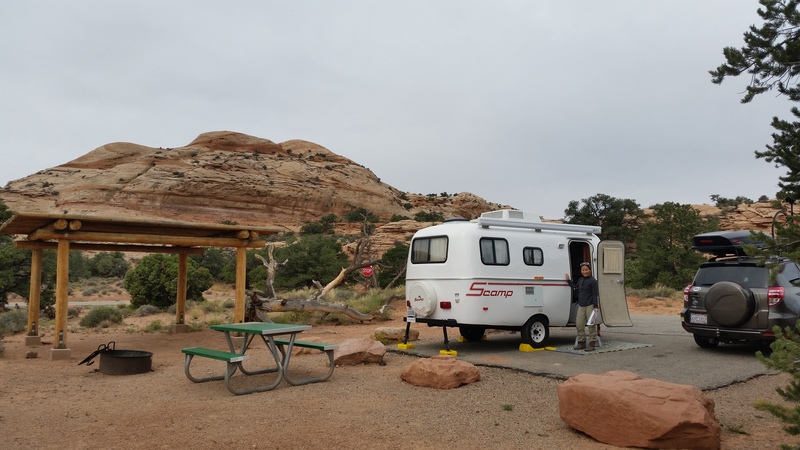 Getting stuck in the mud was no longer a probability and we ventured out for our next leg of our adventure–Utah State and National Parks. 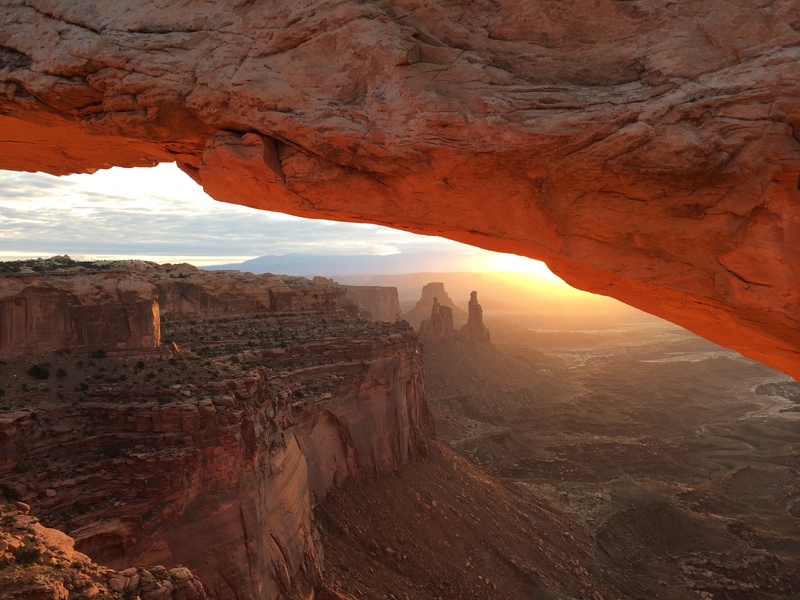 We were already in Moab and had previously visited Arches National Park. 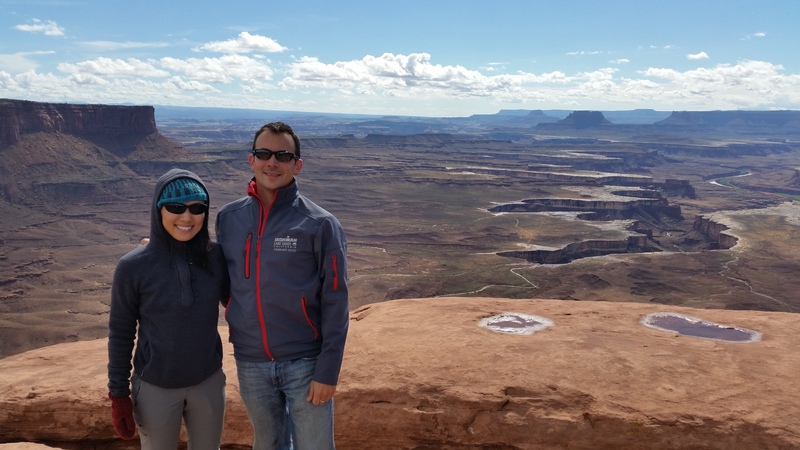 Canyonlands National Park wasn’t too far away, so we figured we’d drop by. And I’m so glad we did. Little did I know that the adjective enormous can hardly describe the whopping amount of land it covers. 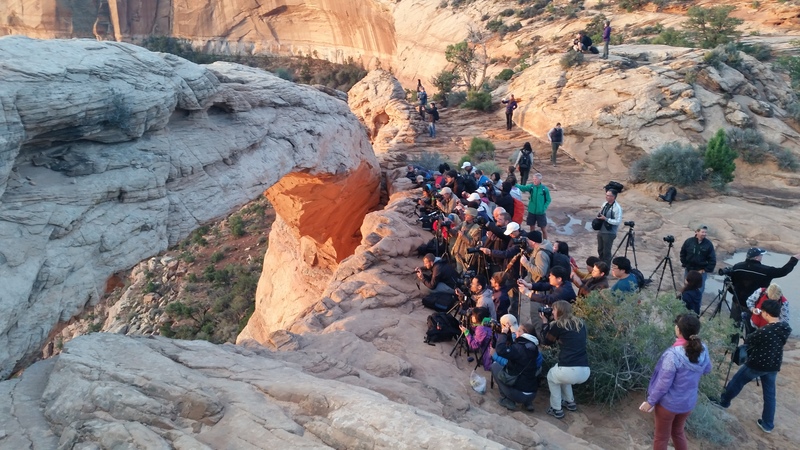 The vastness of this national park expanded beyond what we perceived as a “gigantic park”–it is separated into three districts: Island in the Sky, The Maze, and Needles. It can take up to 6 hours to drive from one district to another, so we picked Island in the Sky (the northern entrance) as it was conveniently located along our route of travel. Upon arrival, we immediately scoped out a campsite. We had originally feared that with only 12 available campsites on a first-come first-serve basis, we would be out of luck. But with Monday on the calendar and sketchy weather all around, plenty of open sites awaited us. 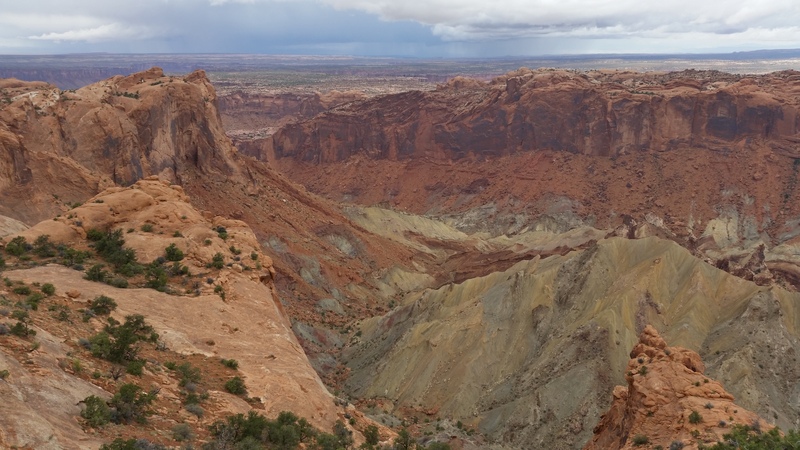 We made it out to the Upheaval Dome…just in time for the thunder to roar over our heads and lightning to strike nearby. Not long after capturing this photo of the mysterious rock formation, darkness overtook the white skies with the smell and sound of rain. The temperature quickly dropped below 50ºF, forcing me to return to camp and change into winter gear. By the time we set out again for the popular overlooks, the storm passed through and the sun gleamed as if it had never gone into hiding. Just look at that magnificent white sandstone edge along the cliffs in the distance! 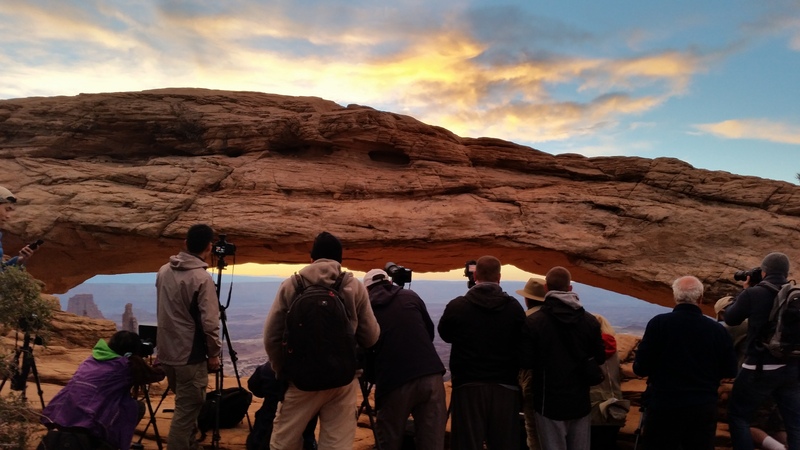 Early the next morning we excitedly made our way over to the famous Mesa Arch to observe its spectacular sunrise. Although the scenery was breathtaking, we were unfortunately disappointed by the ridiculously large crowd of amateur photographers and uncourteous tourists from tour groups. With a bit of a struggle, I managed to squeeze my way into a small opening of the crowd to capture the epic shot below. Sunrise quickly passed and we returned to camp to check out. 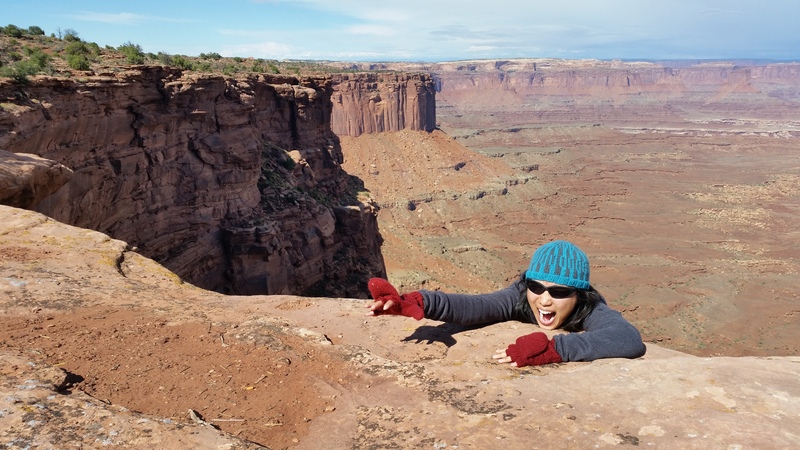 Chris had work obligations and I yearned to do more at Canyonlands than the easy overlook hikes. 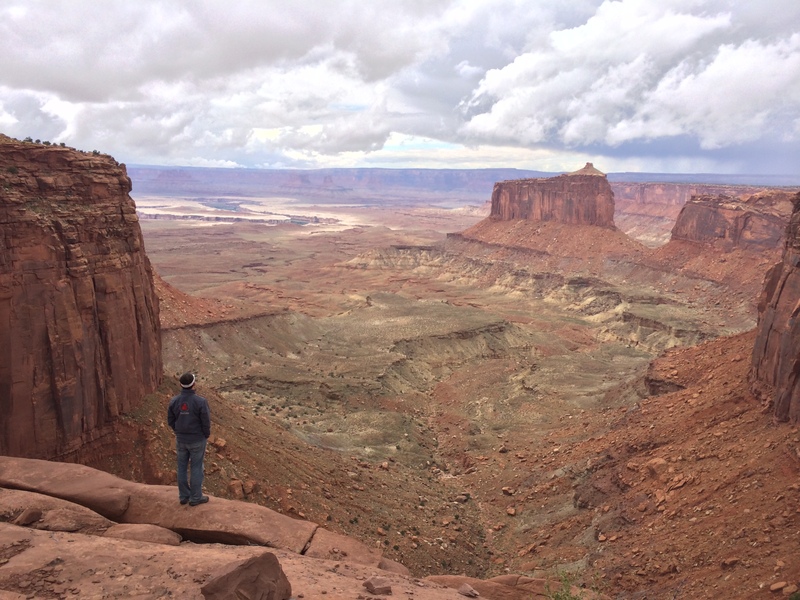 After gazing down at the White Rim Trail from the overlooks the day before, I knew a closer look was required. After all, when would be my next return? 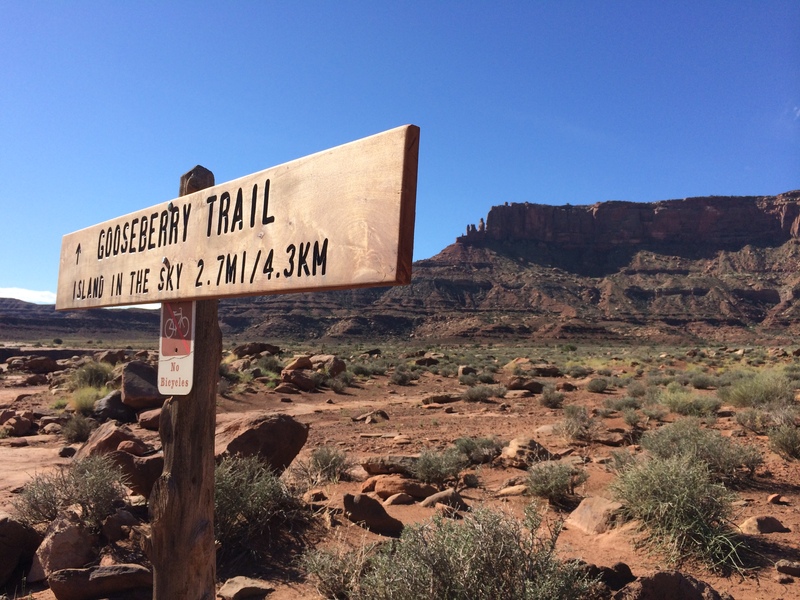 While Chris worked, I hiked the Gooseberry trail, a steep trail of switchbacks that traversed down a canyon wall all the way to the white rim, covering an elevation change of 1,400 feet over the distance of 5.4 miles. 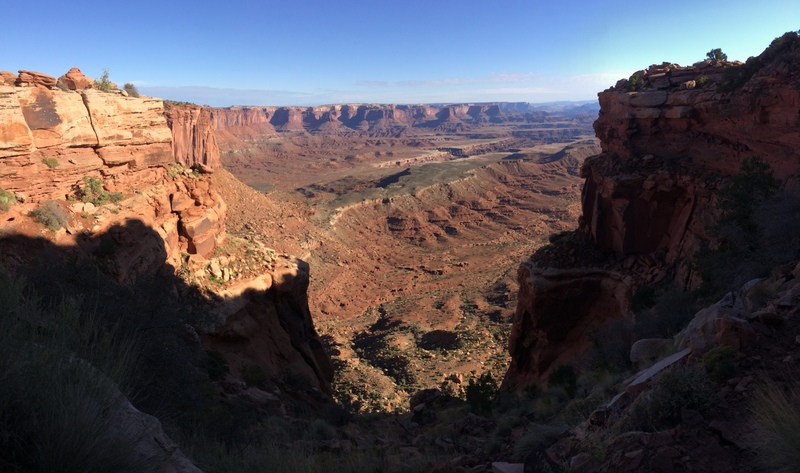 On my way back up, I couldn’t believe that I was just there at the white rim in the distance! After finishing the hike, we set off for our next destination: Goblin Valley State Park. 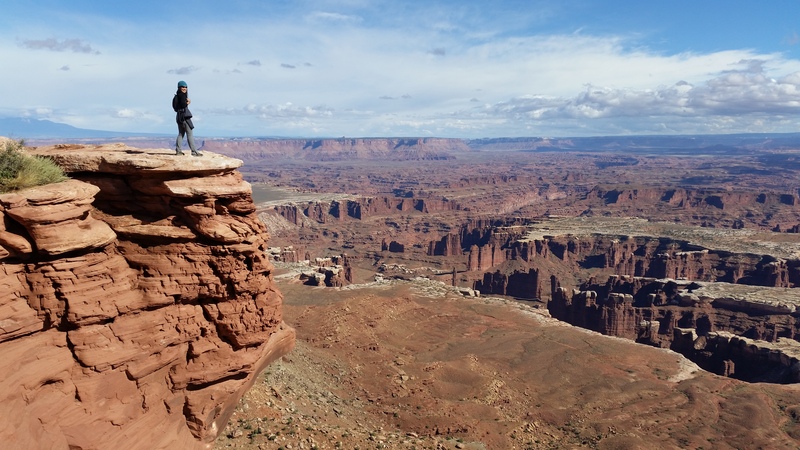 I will absolutely visit Canyonlands National Park again, and when I do, I plan on taking the 21.6 mile backcountry overnight trail that not only goes down to the white rim, but also down into the Colorado River. In our initial planning stage, we knew we would hike and camp in the famed Bryce and Zion National Parks, along with recommendations between. 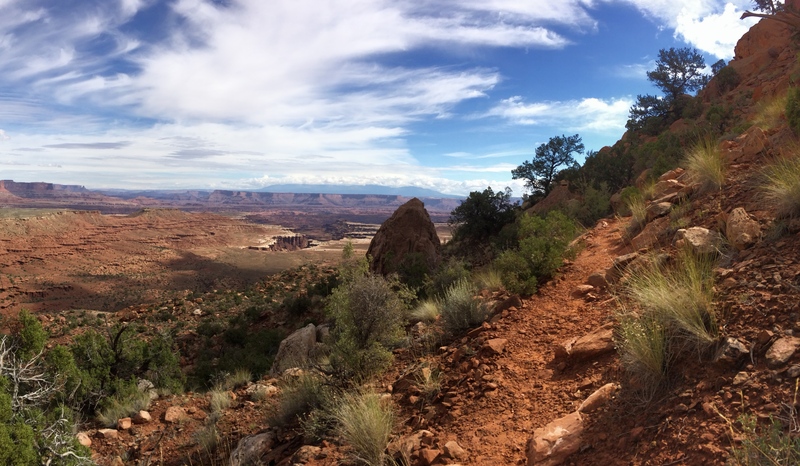 I will admit that I was not expecting my breath to be taken away with the “lesser known” parks, but because Canyonlands National Park carved a deep impression in my heart, I can only look forward to more of them.